So far I’ve collected a Jaina’s Staff, Robes of Fate and the Mantle of False Virtue. I’m guessing that the shoulders don’t look as ridiculously large on other races. So far upgrading your gear to Firelands level gear is a breeze. 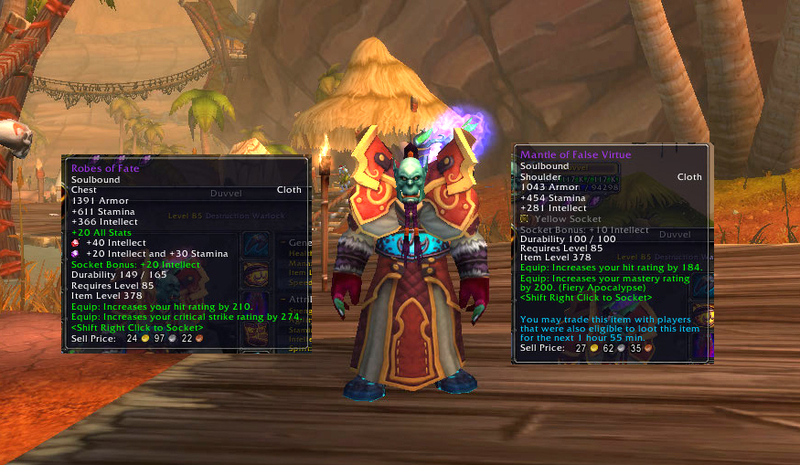 In fact much of this gear is itemized better than Firelands gear.